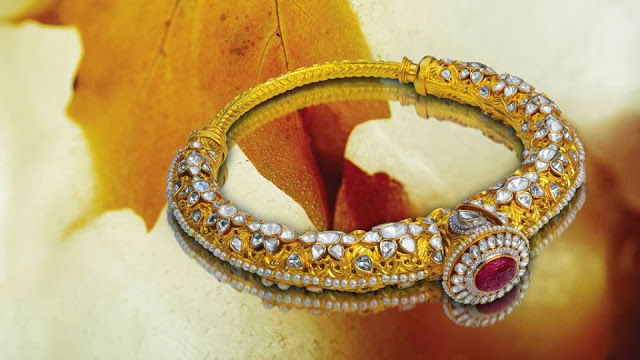 22 carat gold antique bangles studded with kundans and polki diamonds. 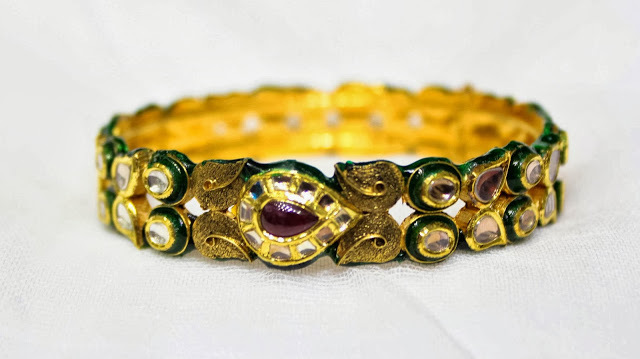 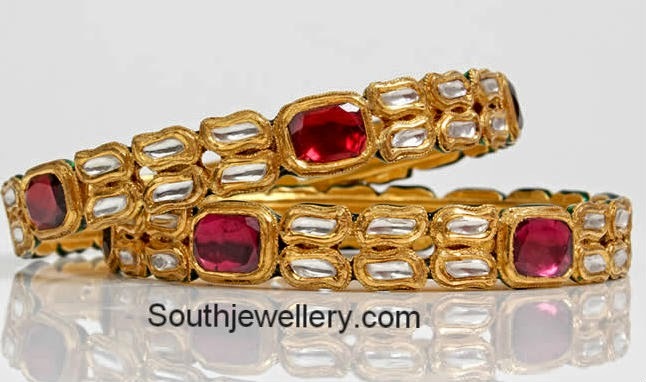 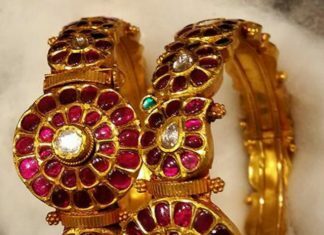 Antique bangle studded with kundans, rubies and enamel coating. 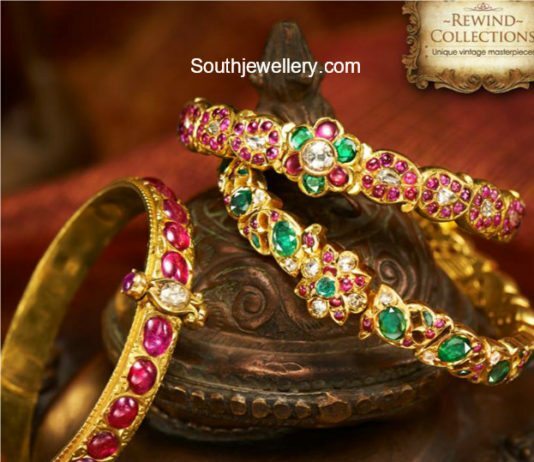 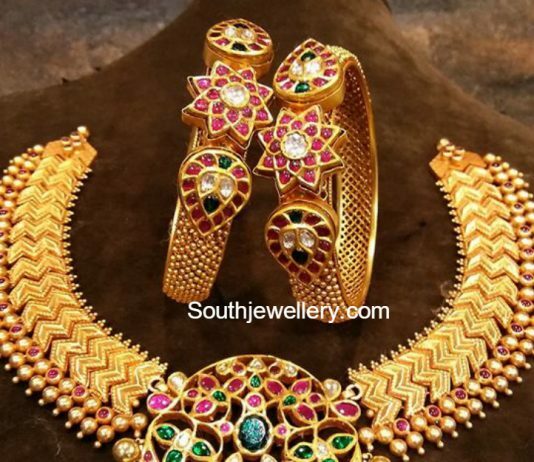 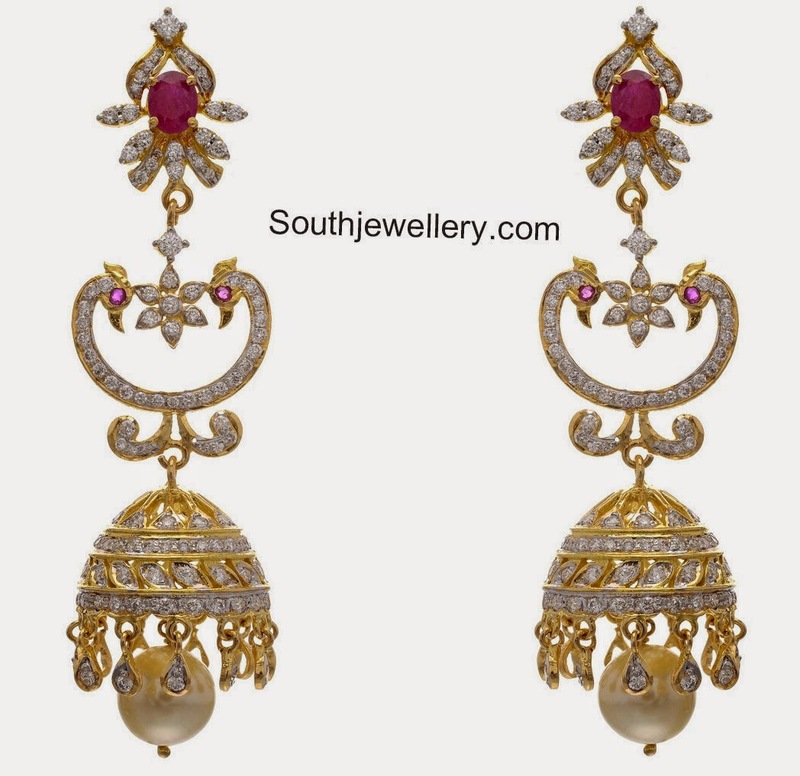 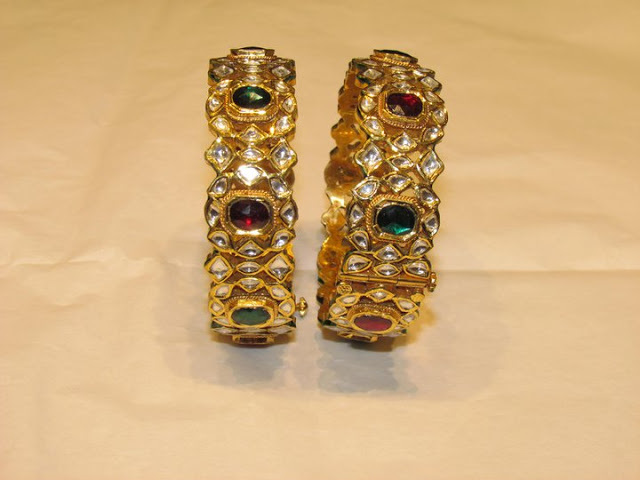 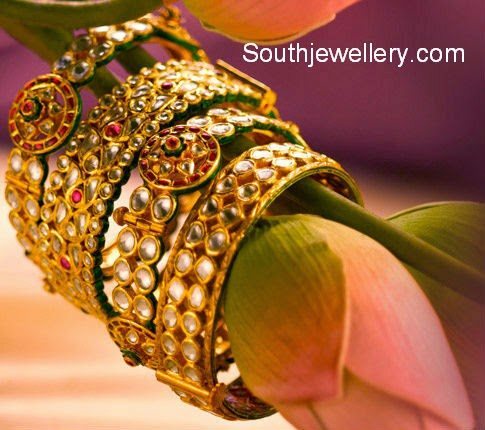 Beautiful kundan bangles studded with rubies and emeralds. 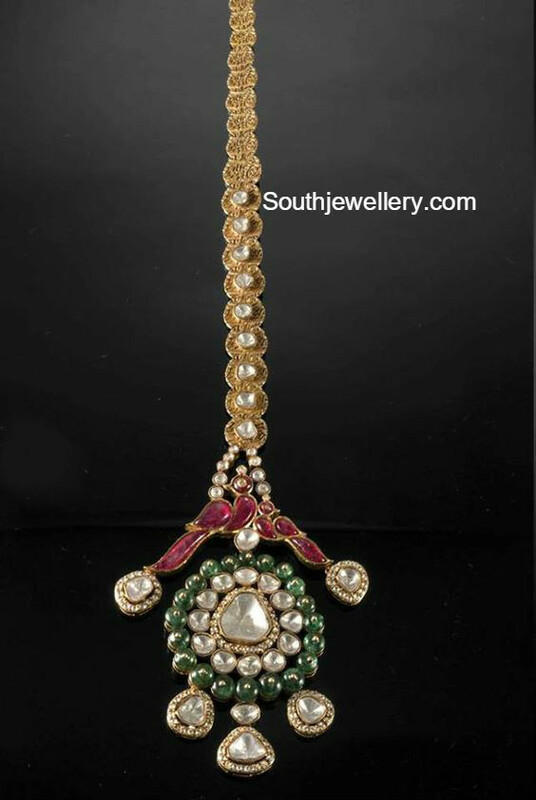 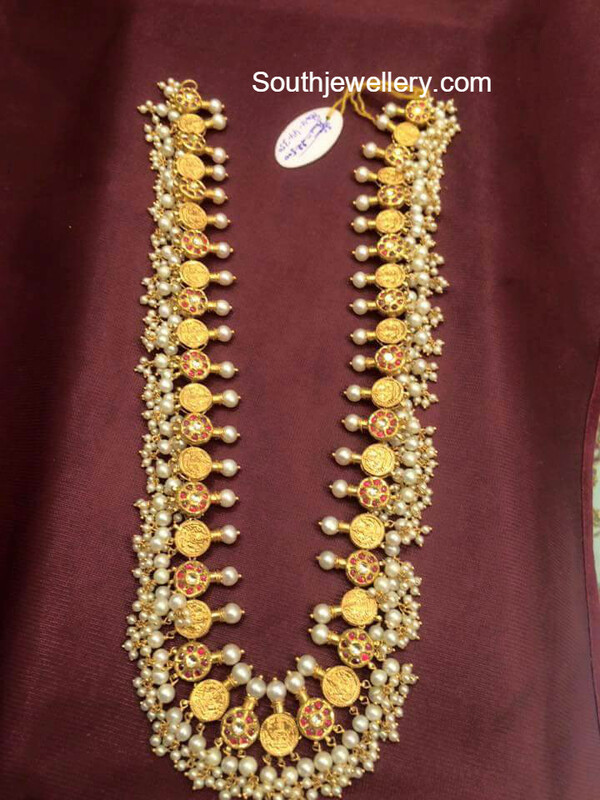 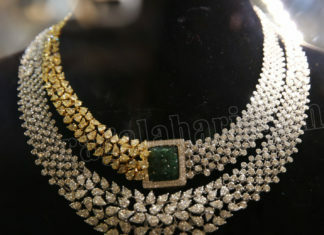 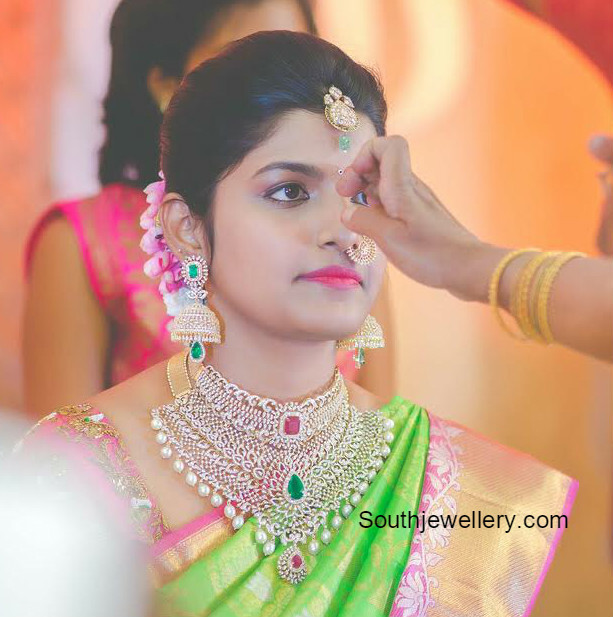 18 carat gold two step diamond necklace studded with diamonds and carved emerald by Pavithra Jewellers, Mumbai.